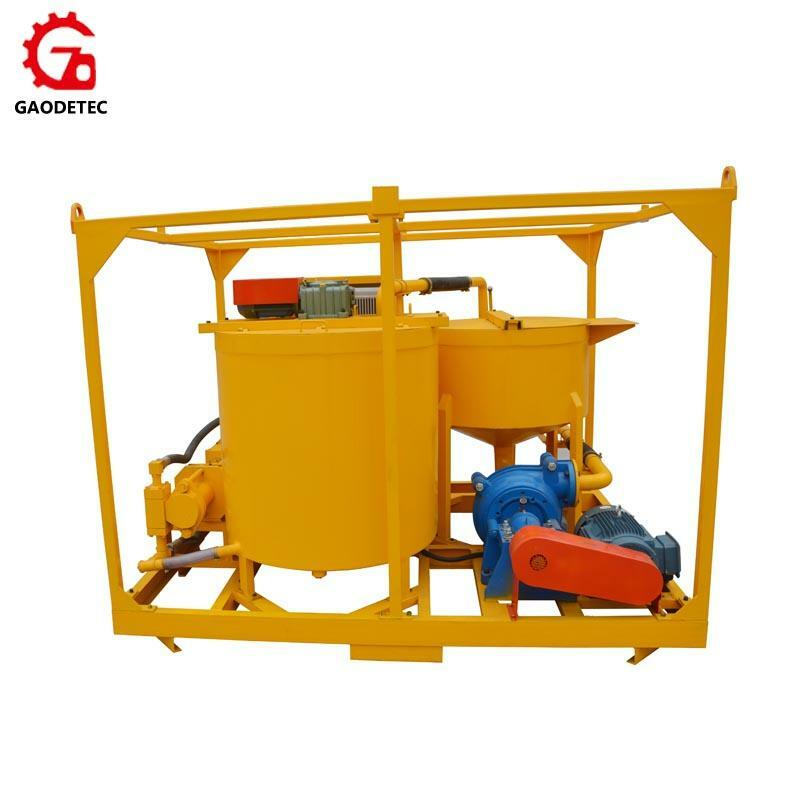 GGP350-800-70PI-E grout station is a combination of mixer, agitator and grout pump in one base frame. 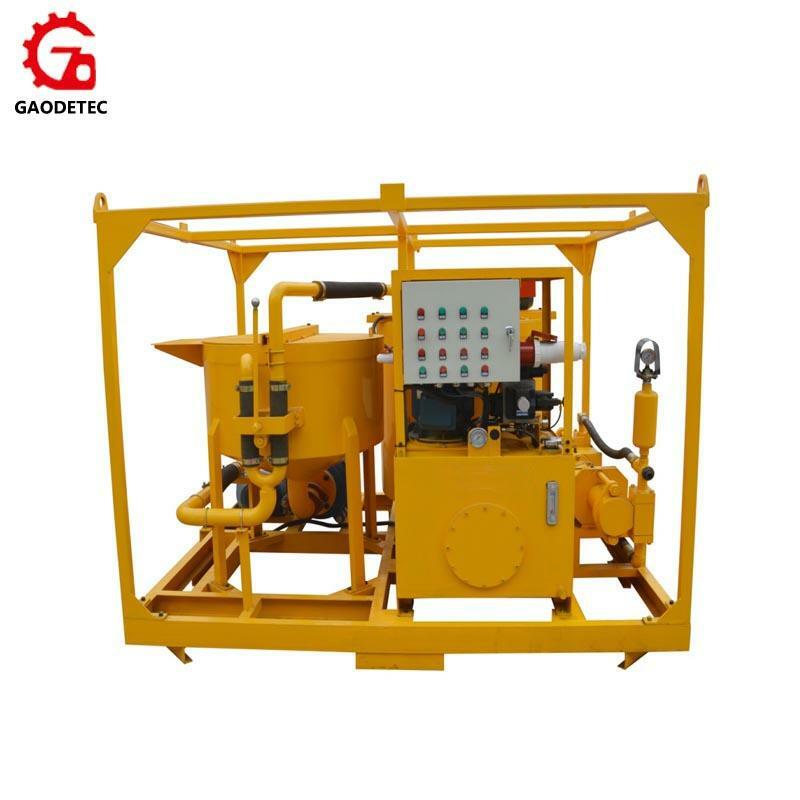 It is mainly used to be made bentonite slurry, cement slurry, etc, in the application highway, railway, hydropower, construction, mining and other ground and underground construction. 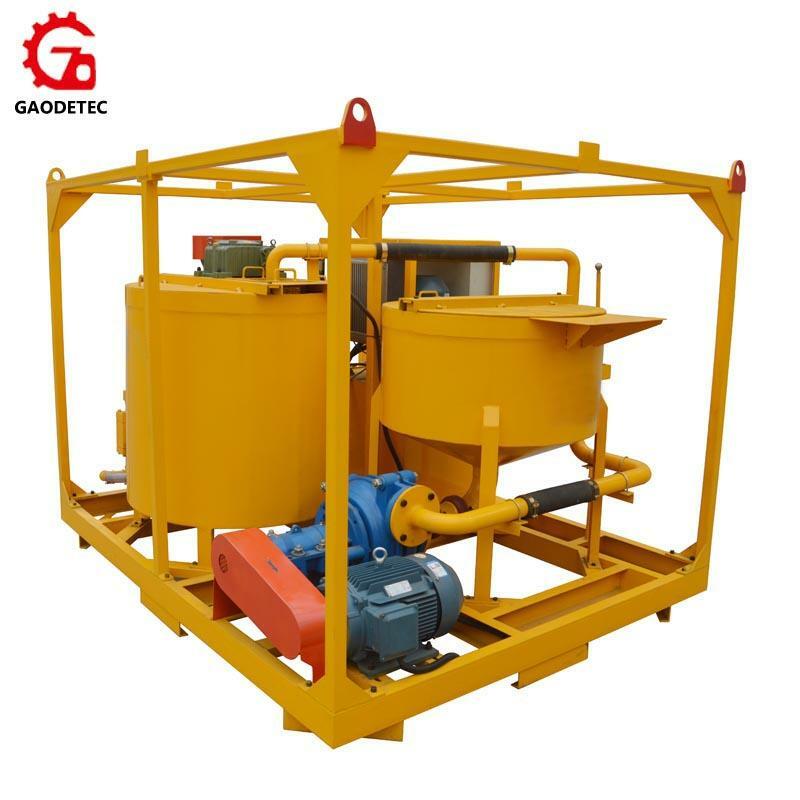 High speed vortex mixer ensures mix quickly and evenly. 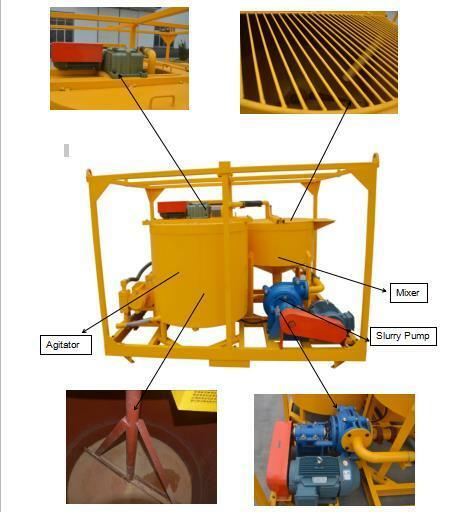 Water, cement or bentonite is quickly mixed into a homogeneous slurry. Then the mixed slurry was delivered to the agitator. Grout pump injects from the mixing drum (storage tank). 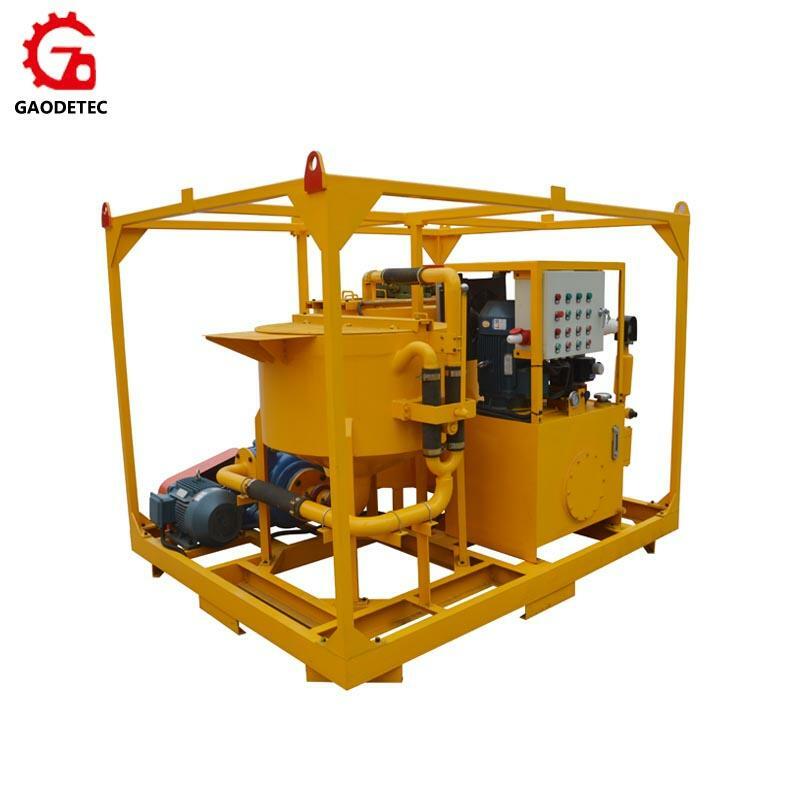 This ensures a continuous mixing and grouting operations. 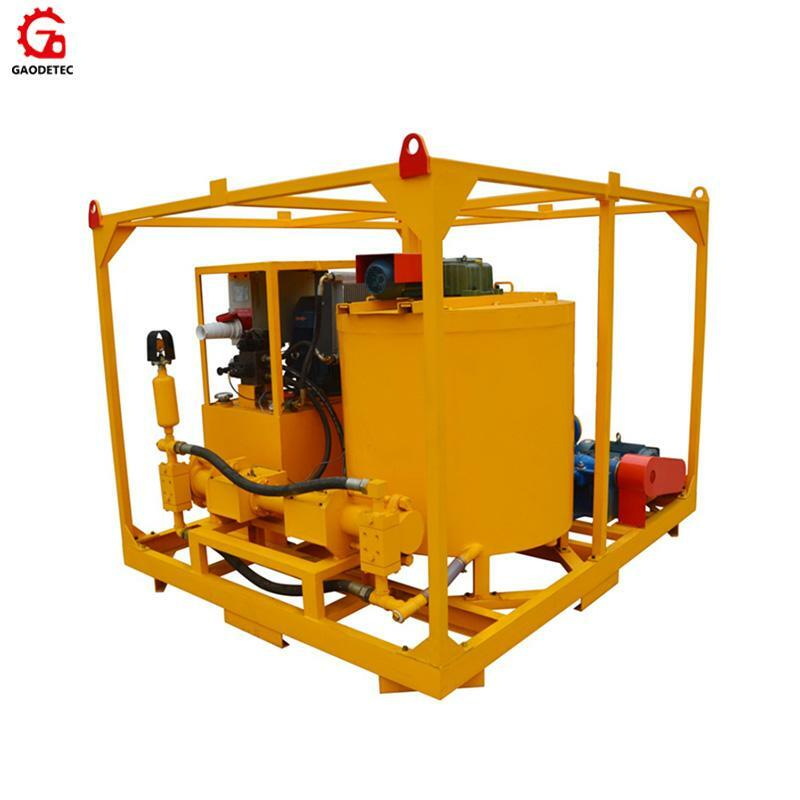 The grouting plant is full hydraulic drive with electric motor. Grouting pressure and displacement is step-less adjustable. Compact size and it is easy to operate. It also takes up a small space. ★Pump output is 0-70L/min. Pump pressure is 0-7Mpa. All step-less adjustable. ★Simple structure, light weight, easy maintenance. 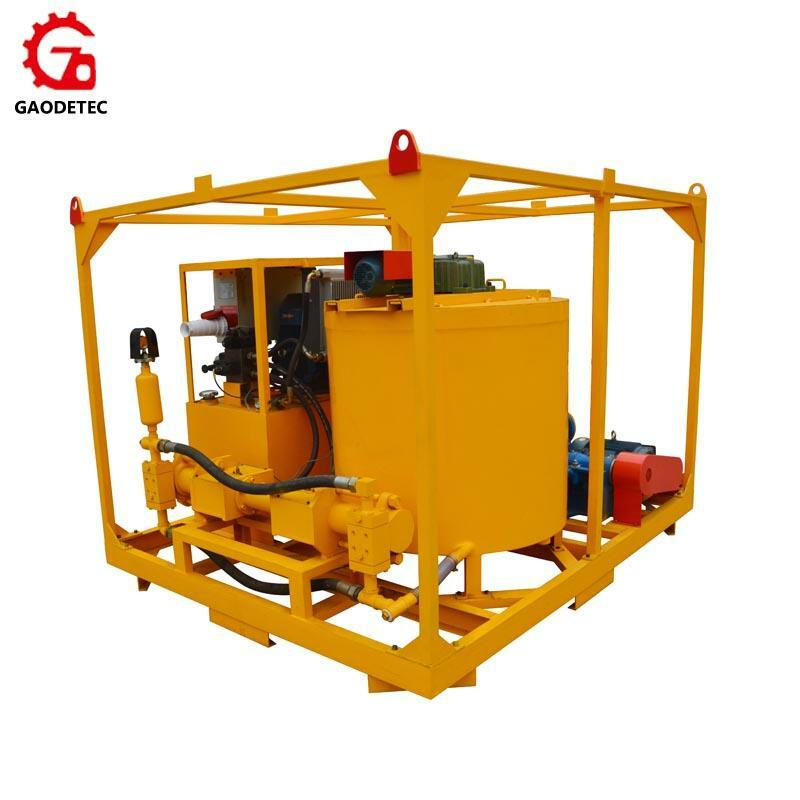 ★Double-cylinder and single-acting grouting pump: grouting continuous and low pulse. ★The latest improvement design of valve chamber: It is quickly convenient cleaning. ★Grouting pump outlet is equipped with buffer. This can further reduce the grouting pressure fluctuations. ★Delivery with special tools. This can ensure change the pistons rapidly, reduce the time of replacing. ★Less spare parts ensure low maintenance costs. 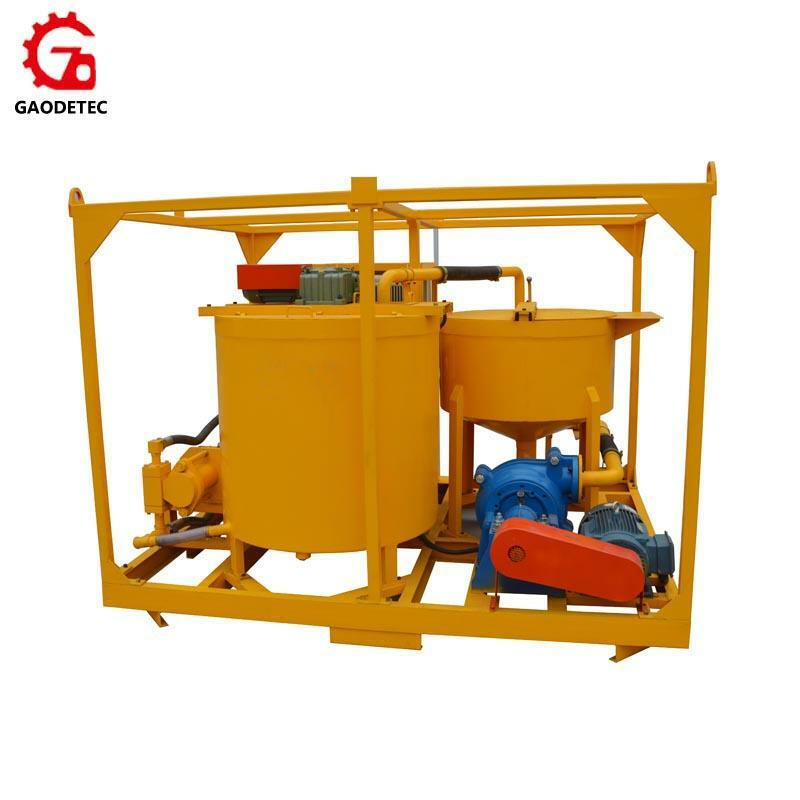 ★High speed slurry pump vortex mixer ensures mix quickly and evenly. ★Mixer and agitator switch by using squeeze handle, it is safe, reliable and easy to operate. 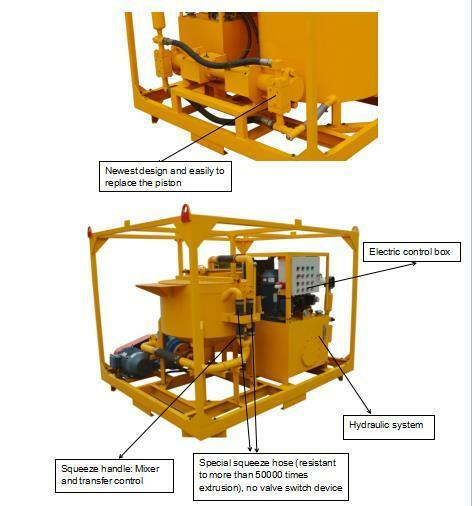 ★Mine application - roadway reinforcement, backfill, waterproof grouting. ★Acted as a grouting plant in the Pipe Jacking Machine.